The University of Southampton combines academic excellence with an innovative and entrepreneurial approach to research, supporting a culture that engages and challenges students in their pursuit of learning. The Southampton Education School's structure and culture of interdisciplinary collaboration enables us to pioneer vital new fields and shape tomorrow's thinking. Explore our diverse research portfolio. Southampton Education School achieves outstanding impact results in the REF 2014. Our world-class academics are breaking new ground to address global challenges. We offer flexible, personalised educational experiences. This EU funded project developed an innovative model of peer mentoring scheme to support migrant integration at school. Southampton Education School has an excellent national and international reputation for its fundamental and applied research and makes a distinctive contribution to the University's research profile. 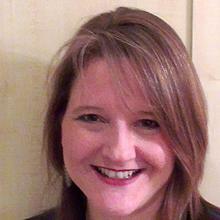 Sarah Parsons is Professor of Autism and Inclusion within Southampton Education School at the University of Southampton.